Change. It’s only one word, but what a scary word it can be. There are many people, like me, that embrace change and look forward to the new things that happen in life, but there are also just as many that avoid it like the plague. These people are happy with their world staying status quo. For those of you that are out there in the world, the next few months at the library should leave you quaking in your boots! There are many changes happening in our library world, not just at Steele, but all the branches. Things like new meeting rooms, carpeting, offices being built, a new quiet room, shifting of collections, and best of all, new circulation desks. These changes will hopefully allow us to give better library service to all our patrons, young and old alike, and still serve as the beacon to the community for entertainment, career advice, meeting place for community organizations, and all the other wonderful opportunities we have to offer at CCLD. We ask you for your patience during this building process, and we promise that when we emerge on the other side of it all, you will like the way the new library looks and feels. If you are one of the people who are resistant to change, look upon this as coming to a whole new library for the first time, and if you are one of the few like me who look upon change as a good thing, embrace our new look and explore. Change. It’s only one word, but what a great word it is! Posted by roganp in Community, Recommendations, Steele. With the layoffs at Sikorsky and the Elmira City School District, the Chemung County Library District wants our residents to be aware that we have public computers available where they may search for a job (try – twintiershelpwanted.com) or write a resume (the software program Word has resume templates). We also have newspapers with job ads from local and major cities around the country on the first floor of Steele and books on job search strategies, resume writing, cover letters, career options, interviewing techniques, and how to start a small business. We also have civil service job announcements in a notebook on the second floor, civil service test books, test databases, and free computer classes. Some specific resume books for teachers are 101 Grade A Resumes for Teachers by Rebecca Anthony and Expert Resumes for Teachers & Educators by Wendy Enelow. 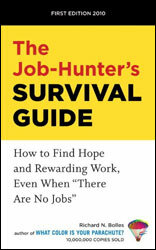 Sikorsky employees might like the books: Make Job Loss Work for You by Richard S. Deems or Job Hunter’s Survival Guide by Richard Bolles, the author of the classic job hunter’s guide What Color is Your Parachute. Both books by Bolles are also available from the library in eBook format. If you would like information or help finding or using any of our materials, just stop at the Steele reference desk on the second floor and speak to a reference librarian, who is there to assist you.